Remote users need a reliable and easy-to-use VPN link to the company network, using 100% Microsoft software. The environment is Server 2012 R2 and Windows 7/8. 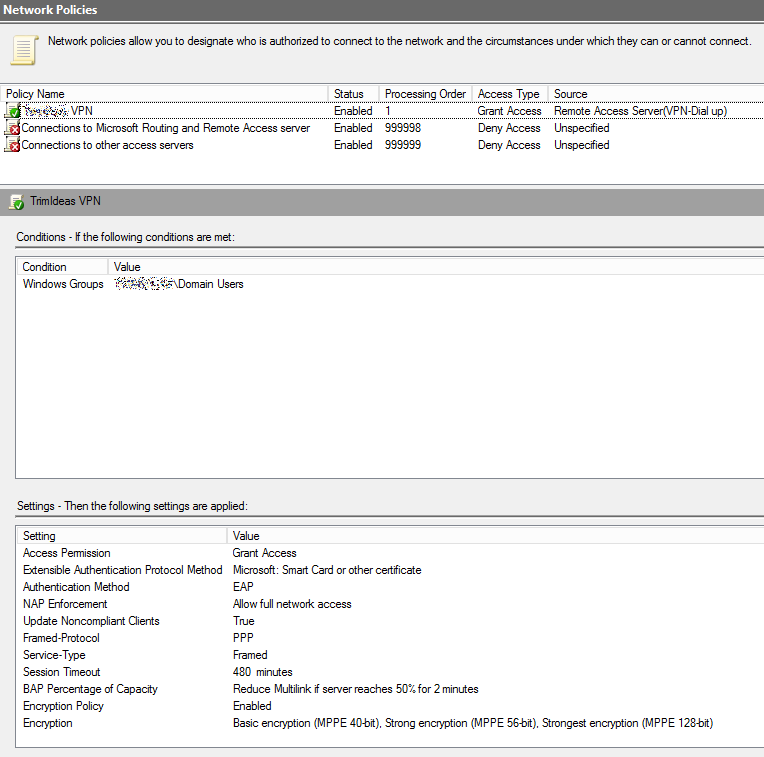 Server Manager: install "Network Policy and Access Services" and "Remote Access". Launch the "Getting Started Wizard" on the installation results screen. Choose "Deploy VPN Only" - the RRAS console appears. 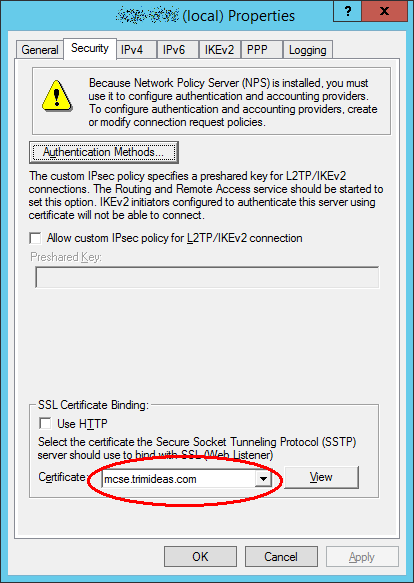 Right-click the server, choose "Configure and enable..."...Custom Configuration...VPN Only. Right-click the server, Properties, security tab, assign a certificate from a public certificate authority (because for SSTP, the client must be able to access the associated CRL). I used the IIS Manager to create a certificate request and filled it at www.namecheap.com for $11. 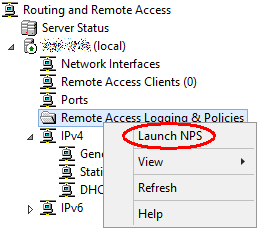 Left-click, then right-click on "Remote Access Logging..." to launch a simplified view of the Network Policy Server. Forward port 443 in your firewall to your VPN server. I assume that your users are auto-enrolling for a "user certificate", so now you're ready to automatically deploy a SSTP VPN connection to your workstations. 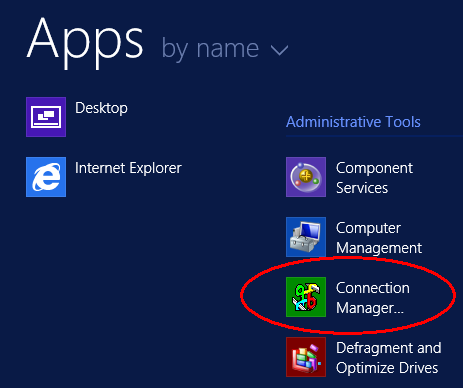 Use the CMAK - "Connection Manager Administration Kit" - it's installed along with the "Remote Access" role. Video was made with ActivePresenter.